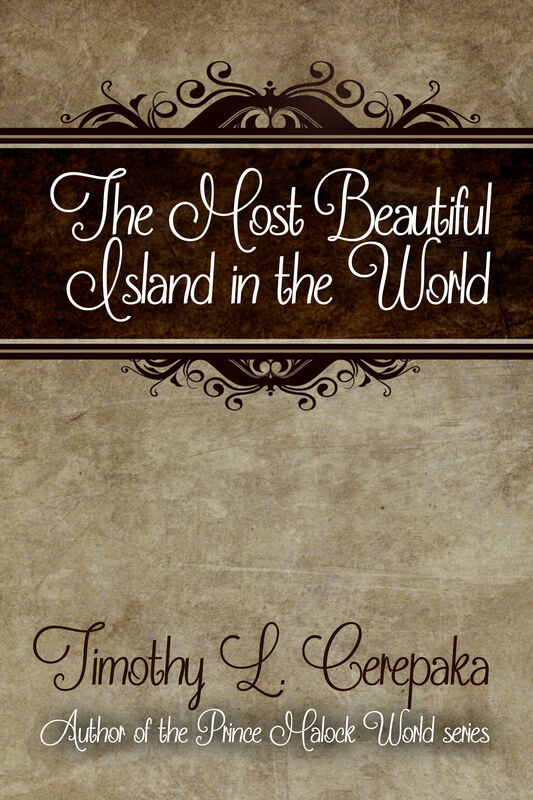 New short story, “The Most Beautiful Island in the World,” is out! That’s right. Just in time for Christmas, I have published the third of the four short stories from Fantastic Depths, called The Most Beautiful Island in the World, with a cover designed by jimmygibbs. “After the destruction of his island’s once beautiful civilization and ecosystem, King Igici believes he may have finally discovered the solution to all of his people’s’ problems. Even if you are not much of a fantasy reader yourself, this short story would make a GREAT last minute Christmas present for any fantasy readers you know, whether friends or family members. At $2.99, it’s a steal! Anyway, keep an eye out for the fourth and final short story from Fantastic Depths, titled Not Malicious. Just Unlucky, which will be available before the year’s out. Stay tuned. 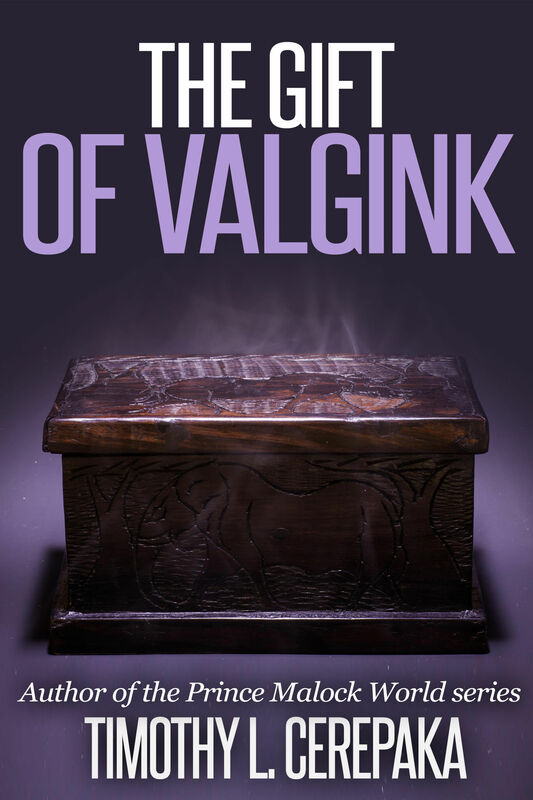 As part of my mission to publish all four of my short stories from the Ambage anthology Fantastic Depths, before year’s end, I have published the second short story I contributed to that collection, a rather quick read (mere 11 pages in PDF) titled The Gift of Valgink. “Backed up against a cliff, with nowhere to run to, Desdar Bandas—a human slave who is only one year away from freedom—must figure out how to save his life and the life of his elvish mistress, Kencha, from a pack of violent, bloodthirsty smoke wolves. Regarding the special announcement mentioned in this blog’s title, sometime after Christmas but before New Year’s I will write up a post detailing all of my writing and publishing plans for next year. I have a lot of awesome plans, but I don’t want to announce them just yet, as I want to keep the focus on this year’s last few releases before I bring attention to next year’s plans. Anyway, keep an eye on this blog for the announcements of the releases of the next two Ambage short stories, The Most Beautiful Island in the World and Not Malicious. Just Unlucky, as well as the release of the Prince Malock World Omnibus, all of which I will get up before year’s end. If you would like to be the first to know about the release of the last two short stories and the Omnibus, you can subscribe to my newsletter HERE. “The Mad Voyage of Prince Malock” Black Friday/Cyber Monday sale for 99 cents on all major ebook platforms! With the onset of Black Friday and Cyber Monday, everyone everywhere is running deals like crazy. Now’s the perfect time to buy great gifts for your friends and loved ones at really great prices. So I thought I’d get in on the holiday deals fun as well. Starting today, Friday, November 28th, to Tuesday, December 2nd, you will be able to buy the first novel in the Prince Malock World series, The Mad Voyage of Prince Malock, for a mere $0.99. Normally $7.99, this is an almost 100% drop in price, as close to free as you can get without it actually being free. But again, I must stress that this price will only be from November 28th to December 2nd. After that, the price will go back up to $7.99 and will likely remain that way for the next half year. Remember: this book is normally $7.99 and is now going to be $0.99 for the next five days. After that, the price is going straight back up, so if you want to get it now for slightly less than a dollar, click on the links to whichever ebook platform happens to be your favorite and buy it RIGHT NOW. This promotion won’t happen again for a long time, so don’t put it off, buy it today, whether for yourself or as a gift for a friend or family member. What do you like best about the holiday season? Simple question. What do you, my blog readers, like best about the holiday season? Myself, I like the general atmosphere around my house. The lights, the decorations, the tree, the music . . . it makes the world seem a little less grim and a bit more magical. Thanksgiving is a mere two days away. Soon it’ll be here and then it’ll be gone and then Christmas will actually be upon us and things will most likely get even crazier than they already are. For me, I think my Thanksgiving is going to be a quiet family event this year, as it usually is, and probably even quieter than usual because we’re dealing with an annoying (though not nasty) cold. I hope we’ll all be better by then, but I have a feeling at least one of us will be sick on Thanksgiving, unfortunately. 1. A nice home to live in. There are a lot of people who don’t even have that. My house isn’t the fanciest or biggest, but it keeps me warm at night and is livable, so I have little to complain about. Plus, it was built in a beautiful part of Texas, so I have the generally beautiful weather and scenery to be thankful for as well. 2. A wonderfully supportive family. There are unfortunately a lot of people with families who don’t support them and their dreams. That my family wholeheartedly supports my dream to become a professional, full-time writer makes me lucky and I am thankful for them every day. Writing is a huge part of who I am. If I were to lose the ability to write — whether through losing the use of my fingers or lacking writing supplies or something else — I am honestly not sure what I’d do. I couldn’t not list writing on a list of things I am thankful for without it feeling incomplete. Yes, I just complained about being sick, but honestly it’s just a minor cold that will probably go away in a day or two. I’ve been lucky to avoid the major diseases, like cancer, and also major injuries. This is one thing I don’t think I’m as thankful for as I should be, to be honest, so I’ll be sure to be more thankful for this later. I am thankful for my writers’ group because it was through them that I was first published. Plus, they’re just an overall cool group in general. You guys are awesome. These are just some of the things I am thankful for. I could probably be here all day listing the things I am thankful for, but I think I’ll stop with these five. Maybe I’ll list some more things later in another post.